In addition to other postings, I will be using this site for ten weeks to provide weekly overviews for a course I am teaching for Learning Unlimited in Etobicoke in the west end of Toronto. In Bridge of Spies, James Donovan (Tom Hanks) is essentially forced to take on the job that no one wants — defending Rudolph Abel, whose capture takes place in a suspenseful, near-wordless opening sequence in which the seemingly innocuous older man is revealed to be picking up coded messages while painting by the water. No one expects or, really, wants James to do more than the bare minimum, but he does, and for his diligence he’s sneered at and harassed, his house getting shot up while his wife (Amy Ryan) and children are inside, terrified. Shawshank Redemption explores what happens to a banker named Andy Dufresne (Tim Robbins)who is convicted in 1946 of a double murder, even though he stubbornly proclaims his innocence. 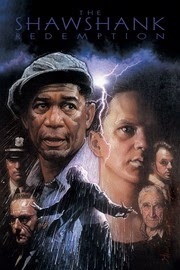 He's sentenced to a life term at the Shawshank State Prison in Maine, where another lifer, Ellis "Red" Redding (Morgan Freeman), gradually befriends him.The ugly realities of prison life are quickly revealed as Andy is harassed and beaten. But Andy’s perseverance and his smarts allow him to prevail behind bars. Quiet and introspective, he uses his banking skills to win favor with the warden and the guards, doing the books for the warden's illegal business schemes and keeping an eye on the investments of most of the prison staff. In exchange, he is able to improve the prison library and bring some dignity and respect back to many of the inmates, including Red. Although the film is a gritty drama, it also shows inmates forming a community of friendship and support despite oppressive conditions. 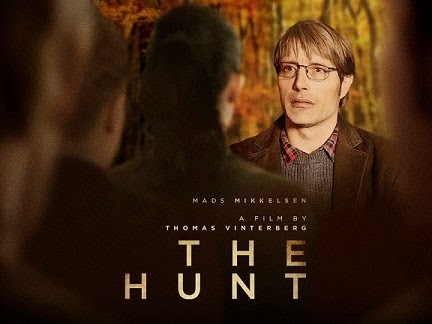 The Hunt is a “contemporary horror story about a respected man’s descent into a Kafkaesque nightmare of denunciations, dread and danger. 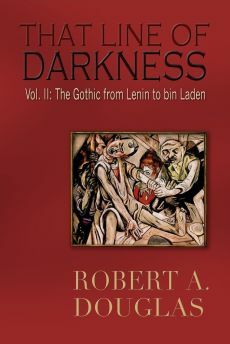 We are pulled into the dark realms of the human psyche and an excursion through small-town Hell. A gesture of affection from a little girl to her daycare teacher triggers a rejection that sparks ugly suspicions, leading questions, half-truths and outright lies. Neighbors he’s known for decades turn malicious and malevolent overnight, their moral collapse fueled by a misguided sense of righteous indignation. He’s excommunicated from society, vilified by his childhood friends and barred from the local stores. The film mounts excruciating tension as the witch hunt escalates from emotional to physical attacks. Then something human happens. 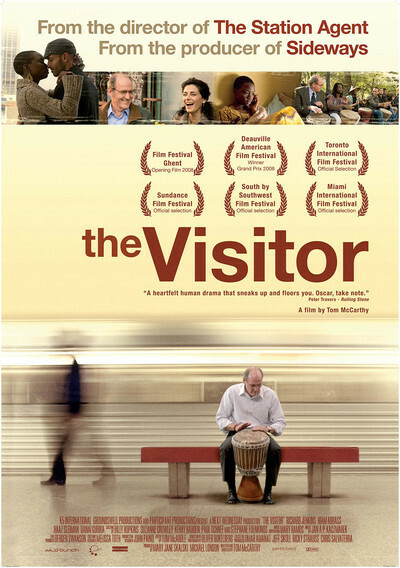 The Visitor (2008) is a powerful, moving film about a lonely widower and college economics professor who undergoes an emotional rebirth when he befriends a pair of illegal immigrants, one of whom has recently been threatened with deportation by U.S. immigration authorities. 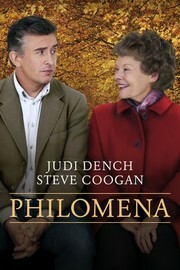 One reviewer has said: “The best movies are those that understand the human condition and have a personal vision. The Visitor is one of those rare creations." 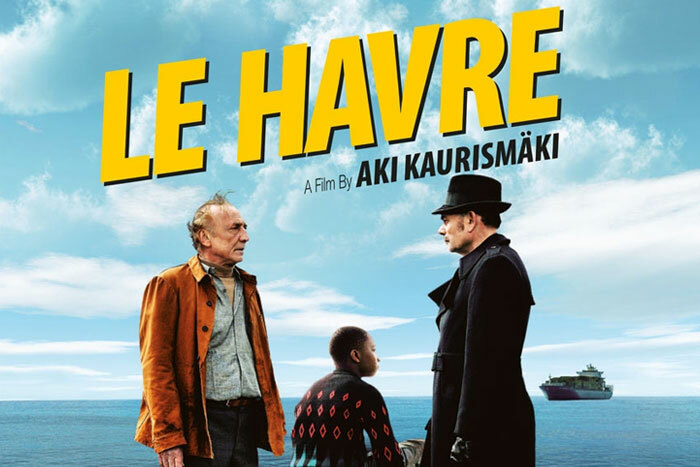 In this warmhearted portrait of the French harbor city that gives the film its name, fate throws a young African refugee into the path of Marcel Marx, a well-spoken bohemian who works as a shoe shiner. With innate optimism and the unwavering support of his community, Marcel stands up to officials doggedly pursuing the boy for deportation, The film is a delight. nore that the history of huSpotlight tells the riveting true story of the Pulitzer Prize-winning Boston Globe investigation that would rock the city and cause a crisis in one of the world's oldest and most trusted institutions. When the newspaper's tenacious spotlight team of reporters delves into allThe Visitor (2008) is a powerful, moving film about a lonely widower and college economics professor who undergoes an emotional rebirth when he befriends a pair of illegal immigrants, one of whomThe Visitor (2008) is a powerful, moving film about a lonely widower and college economics professor who undergoes an emotional rebirth when he befriends a pair of illegal immigrants, one of whom has recently been threatened with deportation by U.S. immigration authorities. 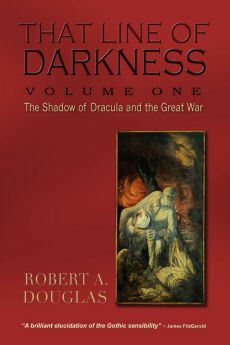 One reviewer has said: “The best movies are those that understand the human condition and have a personal vision. The Visitor is one of those rare creations." has recently been threatened with deportation by U.S. immigration authorities. One reviewer has said: “The best movies are those that understand the human condition and have a personal vision. 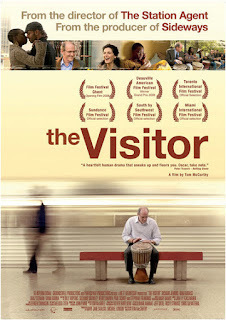 The Visitor is one of those rare creations." egations of abuse in the Catholic Church, their year-long investigation uncovers a decades-long cover-up at the highest levels of Boston's religious, legal, and government establishment, touching off a wave of revelations around the world. 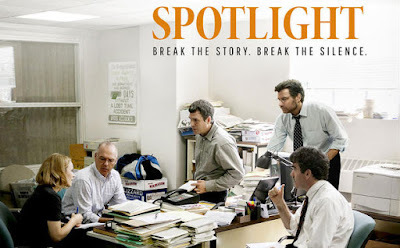 Directed by Academy Award-nominee Tom McCarthy, Spotlight is a tense investigative dramatic thriller. 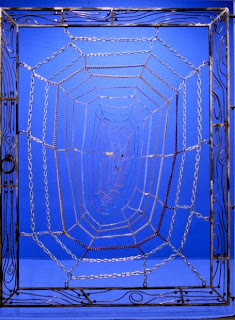 \rutality, murder, mass extinction, every form of venality and cyclical horror. No land is free no people are without their bloodstain; no tribe entirely innocent. redeeming matter of incremental progress. It might look small to those with apocalyptic perspectives, but to she who not so long ago could not vote, or drink from the same water fo ntain as her fellow citizens, or marry the person she chose, or live in a certain neighborhood, such incremental change feels enormous. 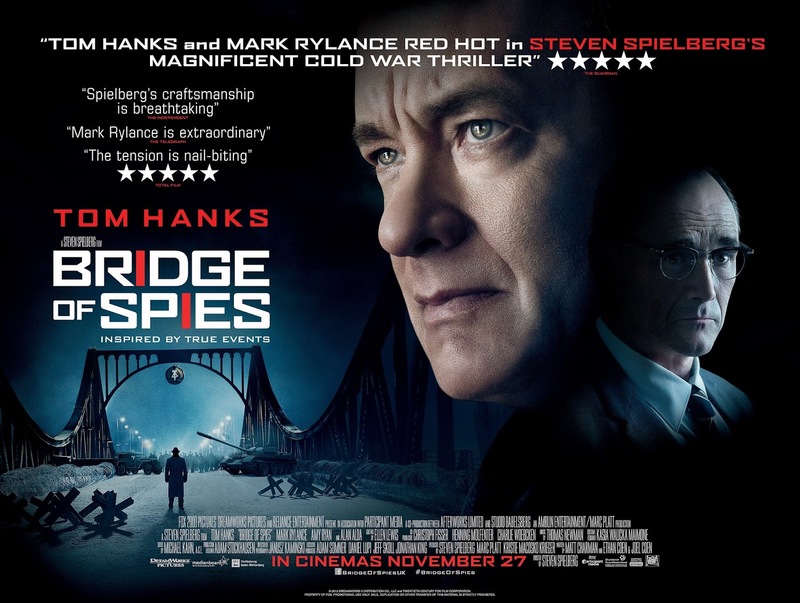 "s Donovan (Tom Hanks) is essentially forc take on the job that no one wants — defending RIn Bridge of Spies, James Donovan (Tom Hanks)sentially forced to take on the job that no one wants — defending Rudolph Abel, whose capture takes place in a suspenseful, near-wordless opening sequence in which the seemingly innocuous older man is revealed to be picking up coded messages while painting by the water. No one expects or, rea, wants James to do more than the bare minimum, but he does, and for his diligence he’s sneered at and harassed, his house getting shot up while his wife (Amy Ryan) and children are inside, terrified.udolph Abel, whose capture takes place in a suspenseful, near-wordless opening sequence in which witheringly innocuous older man is revealed to be picking up coded messages while painting by the water. No one expects or, really, wants James to do more than the bare minimum, but he does, and for his diligence he’s sneered at and harassed, his house getting shot up while his wife (Amy Ryan) and children are inside, terrified. In Bridge of Spies, James Donovan (Tom Hanks) is essentially forced to take on the job that no one wants — defending Rudolph Abel, whose capture takes place in a suspenseful, near-wordless opening sequence in which the seemingly innocuous older man is revealed to be picking up coded messages while painting by the water. No one expects or, really, wants James to do more than the bae minimum, but he does, and for his diligence he’s sneered at and harassed, his house getting shot up while his wife (Amy Ryan) and children are inside, terrified. the same water fountain as her fellow citizens, or marry the person she chose, or live in a certain neighborhood, such incremental change feels enormous. Only the willfully blind can ignore that the history of human existence is simultaneously the history of pain: of brutality, murder, mass extinction, every form of venality and cyclical horror. No land is free of it; no people are without their bloodstain; no tribe entirely innocent. But there is still this redeeming matter of incremental progress. It might look small to those with apocalyptic perspectives, but o she who not so long ago could not vote, or drink from the same water fountain as her fellow citizens, or marry the person she chose, or live in a certain neighborhood, such incremental change feels enormous.